The third generation Toyota Corolla isn't going to get you front row parking from the valet at a trendy club in Hollywood-- but you might get a few thumbs up in Long Beach...particularly if you head down to the Queen Mary during the annual Japanese Classic Car Show. 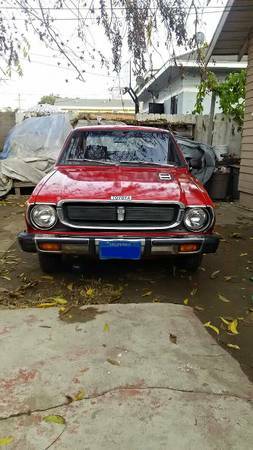 Find this 1975 Toyota Corolla offered for $3,000 in South Los Angeles, CA via craigslist. 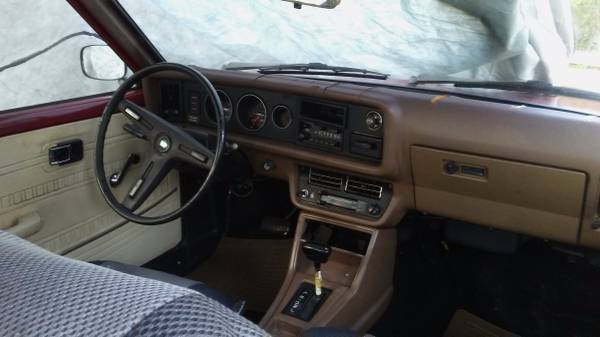 For the low asking price of $3k here is what you get -- a pre-smog (that is code for "swap in your favorite JDM green-top VTEC thing fed with side draft carbs!!") classic with a front-engine rear-drive setup, nice paint and "everything is original from the blue license plates to interior." An original '75 Corolla TE31 is going to be powered by a 2T inline-4, which is a 1.6 liter gutless overhead valve carburetor fed thing that makes 75 horsepower on a good day. With the original automatic transmission, this thing will be quicker than a Gillig Phantom -- but only by a gnat's chin hair. I think it's wonderful how some older editions of cars totally don't look like their newer models at all. 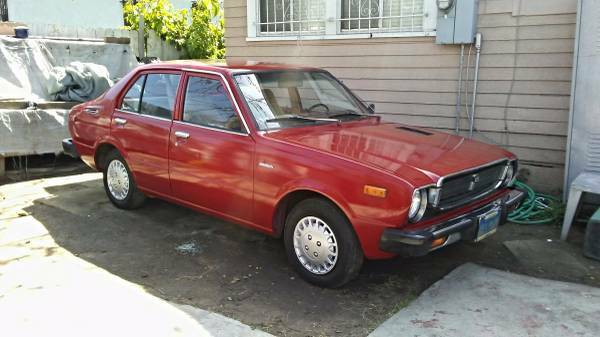 This classic Corolla just looks so sharp in comparison to the latest models!